Three people were found in the water after their boat sank off Abersoch, North Wales, on Saturday 22 September. 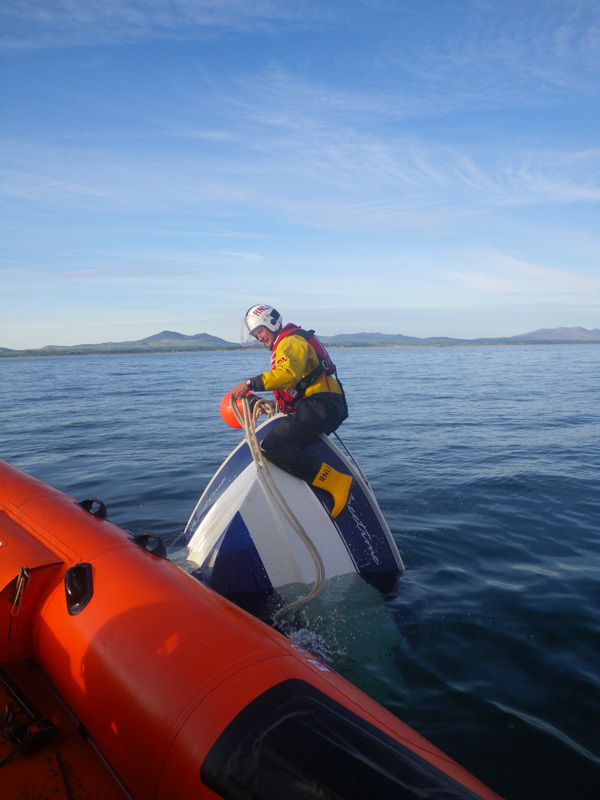 An Atlantic 75 lifeboat, based at Abersoch, was launched just after 5pm after a MAYDAY was sent from the 17ft sportsboat. The 122 rescue helicopter was also scrambled from RAF Valley to help search for the crew, as they had given only a vague position but clearly stated that the boat was sinking. 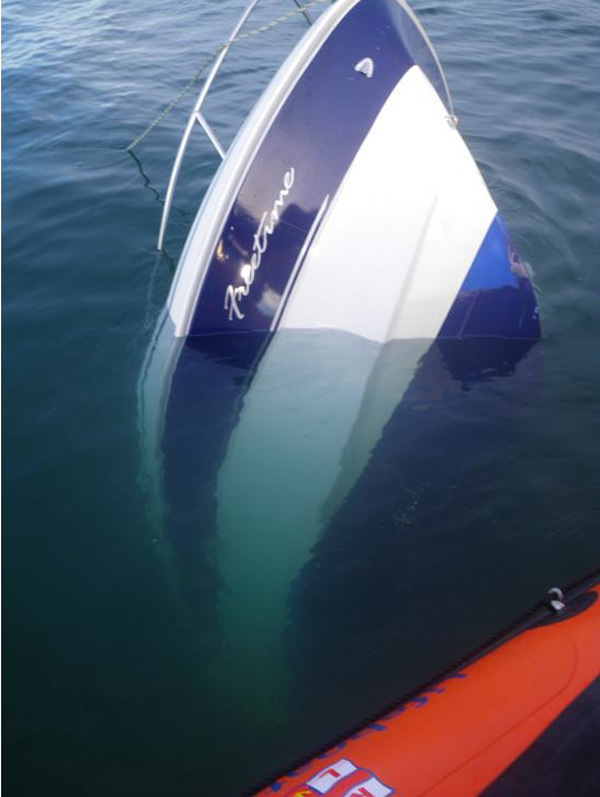 The three crew were found floating in the water near their boat, with the bow still above the surface. Twrog Jones, RNLI lifeboat press officer said, “Two adults and a teenager had been in the water approximately 10 minutes and were wearing buoyancy aids. All three were taken on board the lifeboat where their condition was assessed before being taken to the station. The RNLI crew returned to the boat to attach a marker buoy to alert local shipping.